Lately, Disney's animation never fall shorts of my expectation. After Wreck-it Ralph and Frozen, here comes Big Hero 6, a production of Disney with characters from Marvel. I never think that there's a movie that could challenge How to Train Your Dragon 2 as my favorite animation movie this year. This movie is so cute and I always have a soft spot for story about sibling love and friendship. Big Hero 6 is a funny and heartwarming story about Hiro Hamada, a genius, and Baymax, an inflatable medical robot, which a little bit resemble relationship between Hiccup and Toothless. When a devastating event befalls the city of San Fransokyo and catapults Hiro into the midst of danger, he turns to Baymax and his close friends adrenaline junkie Go Go Tomago, neatnik Wasabi, chemistry whiz Honey Lemon and fanboy Fred. 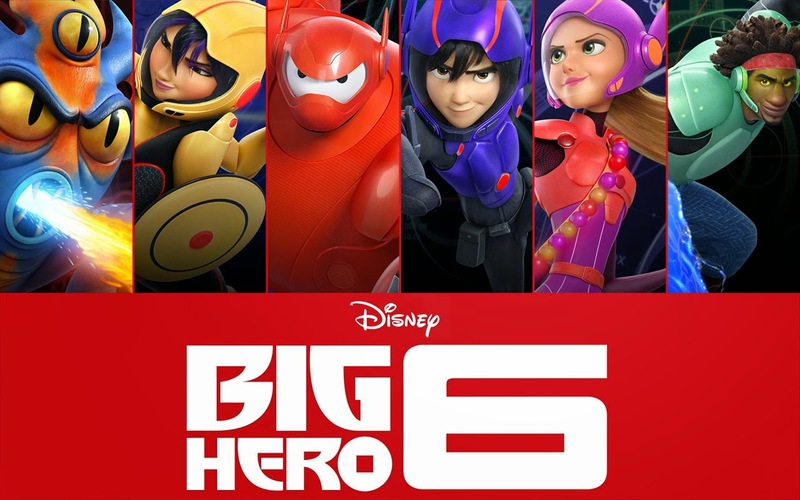 Determined to uncover the mystery, Hiro transforms his friends into a band of high-tech heroes called "Big Hero 6." Overall, this movie is good. Don't expect complicated story because it's straight and simple, I could predict the ending ^^. I honestly think it will be more interesting if the big bad guy is none other than Hiro's brother. But well, if it's like that, this story will become dark, complicated, and maybe become a not child-friendly story. He he he. Don't worry, the relationship between Hiro and Baymax is so heartwarming, so I will say you got your money's worth for seeing this movie. I recommend it for anybody, especially animation lover.